A New feature has been added to "Google Now" for Android, which is the Google Search App. 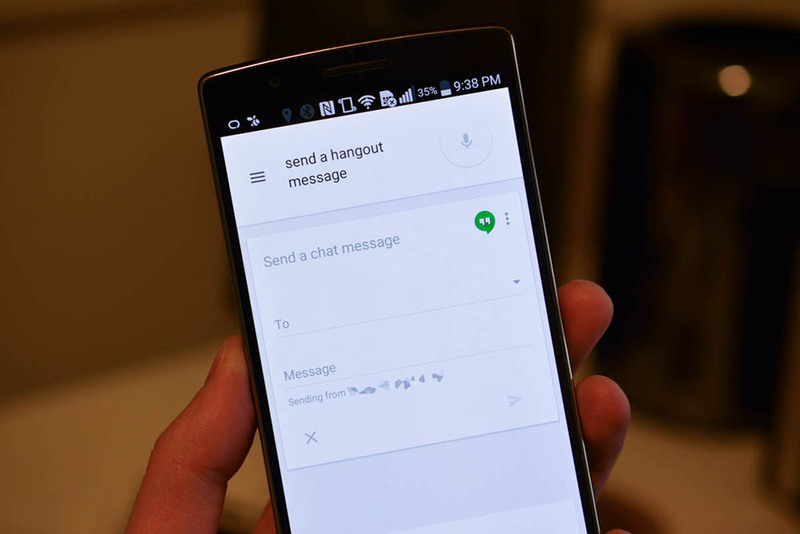 This new feature will allow you to send text messages via Google Hangouts simple using your Voice using the well-known phrase "Okay Google". This feature is a server-side enabled, so you won't be needing to install any APK or do any updates to your device. All you have to do is just say "Okay Google" followed by "Send a Hangouts message" and then your message. It will then ask you whom you want to send the message to followed by your message before you can send it.